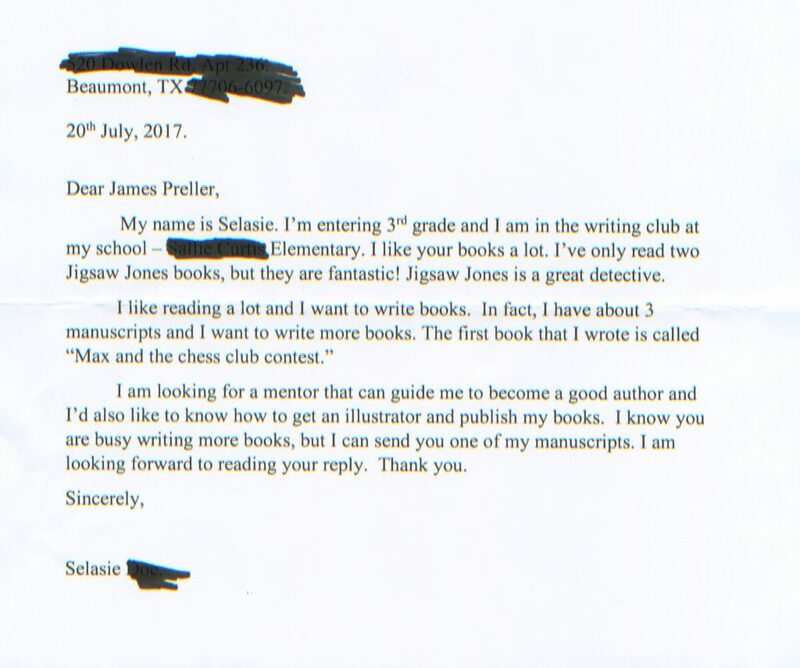 Fan Mail Wednesday #253: From Selasie, a Writer in Texas! This one comes from a young author in Beaumont, Texas . . . 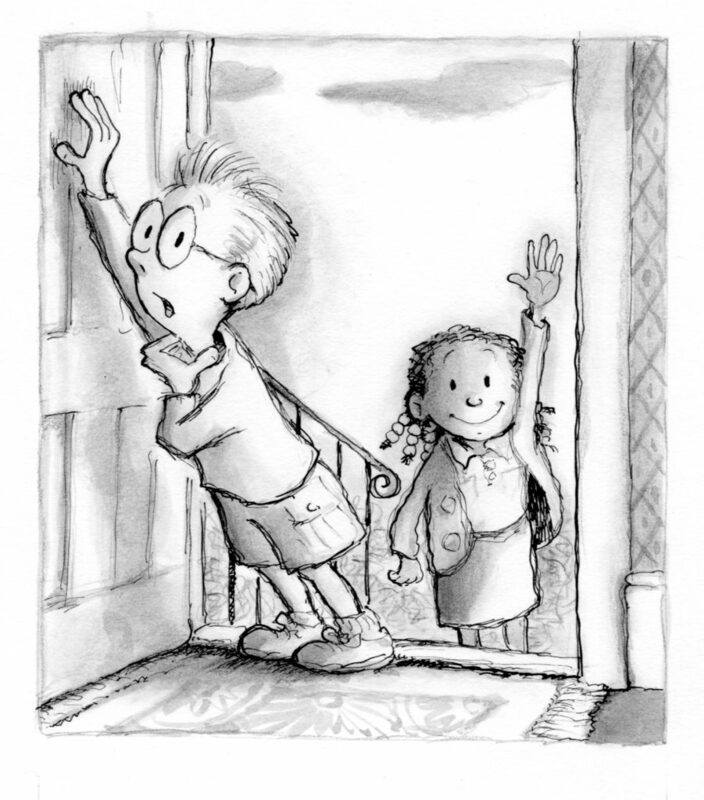 Thank you for your letter and your kind comments about my Jigsaw Jones books. I am impressed that you belong to a writing club at such a young age. When I was going into 3rd grade, my big life ambition was to see how many marshmallows I could cram into my mouth. I didn’t even begin to form the faintest dream of becoming an author until high school. But I did write, and really that’s where we all begin. With pen in hand, staring at that blank page. So you are way ahead of me. There is a new Jigsaw Jones book coming out this August 8th, The Case from Outer Space, along with four other titles. By November, there will be 8 “classroom classics” available for the first time in years –- previously published, newly revised and updated, all from Macmillan. Ask for them at your local bookstore. I’m always glad to hear from my friends in Texas. I’ve wanted to get invited to visit schools in TX for years. It hasn’t happened yet, but I’m not giving up hope! Oh, and thanks for the SASE. I’ll save it for next time you write. I am sending along two posters, one for you and one for the kind teacher who hosts your writing club. Keep writing. You inspire me!